Preheat oven to 350?F. 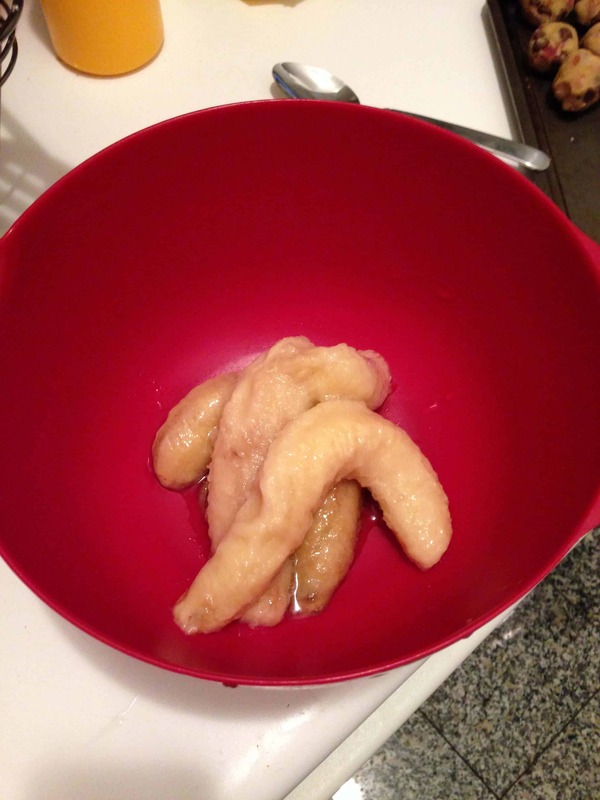 In a large bowl, mash together the bananas, peanut butter, oil, and vanilla. 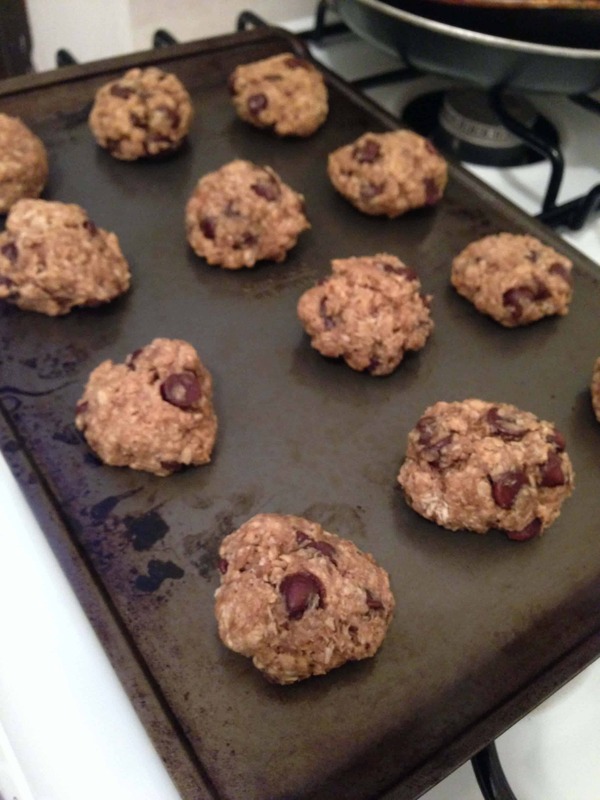 In a separate bowl, stir together the oats, coconut, baking powder, cinnamon and salt. Add the dry ingredients to the wet ingredients along, and stir in the chocolate chips until the ingredients are combined. 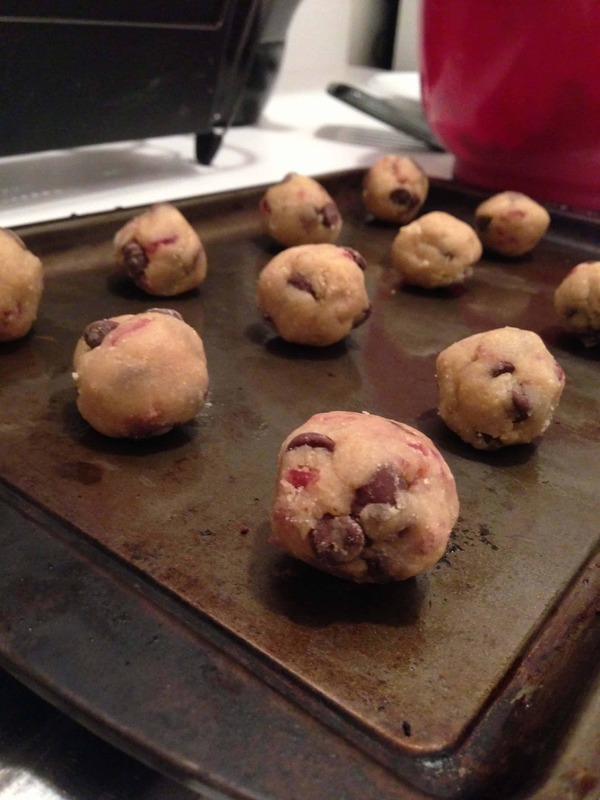 Drop spoonfuls of dough onto a Silpat lined baking sheet (or one that is sprayed with nonstick spray), and bake for about 12 minutes, until just set. The won’t look browned on the top, but the bottoms will be. 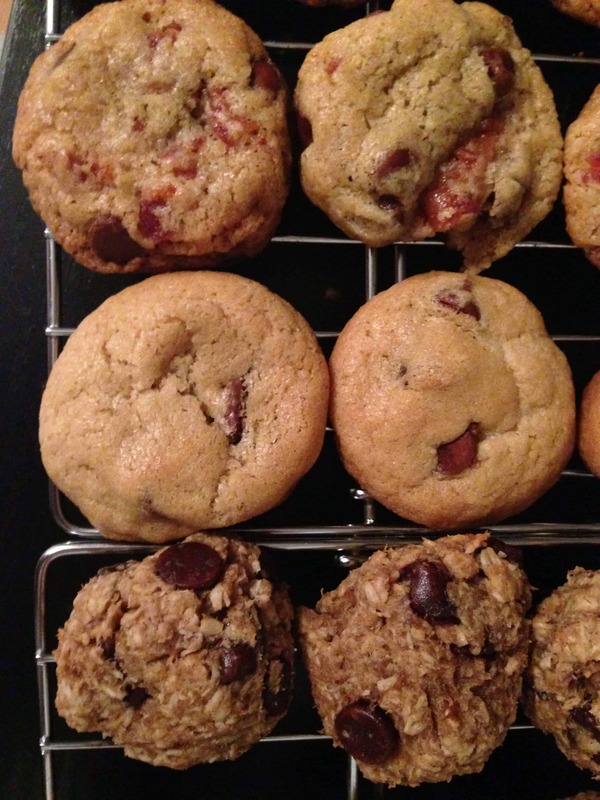 The far right picture is the way the cookies look baked. 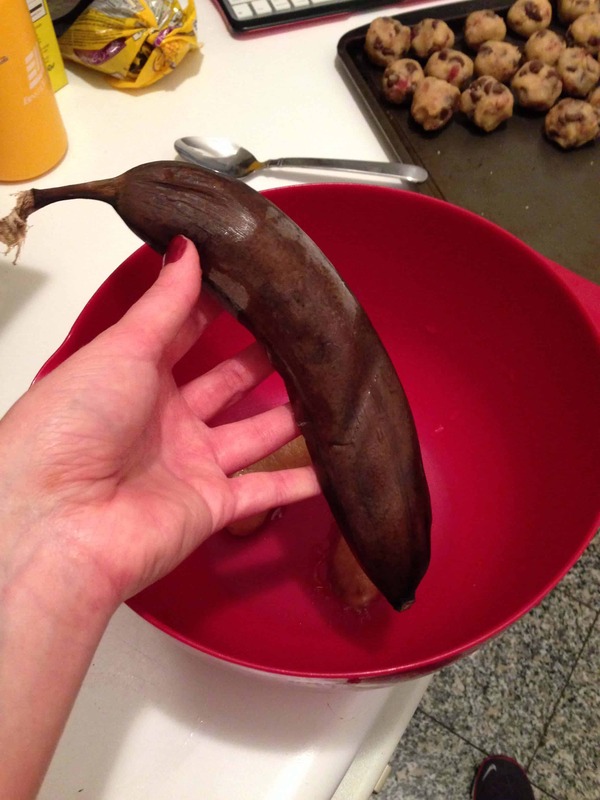 Keep a careful eye on the timer, you don’t want to the bottoms to burn! Preheat oven to 350 degrees. 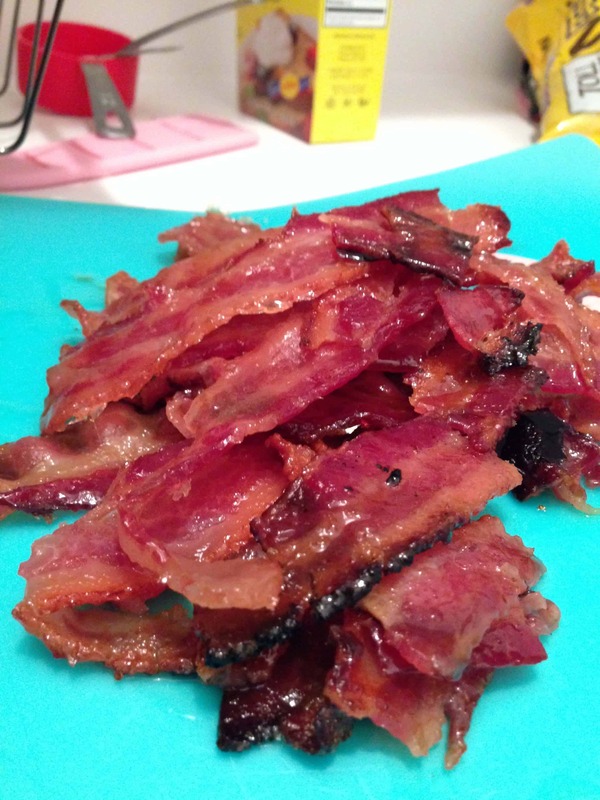 Place bacon in a single layer on a foil lined baking sheet. 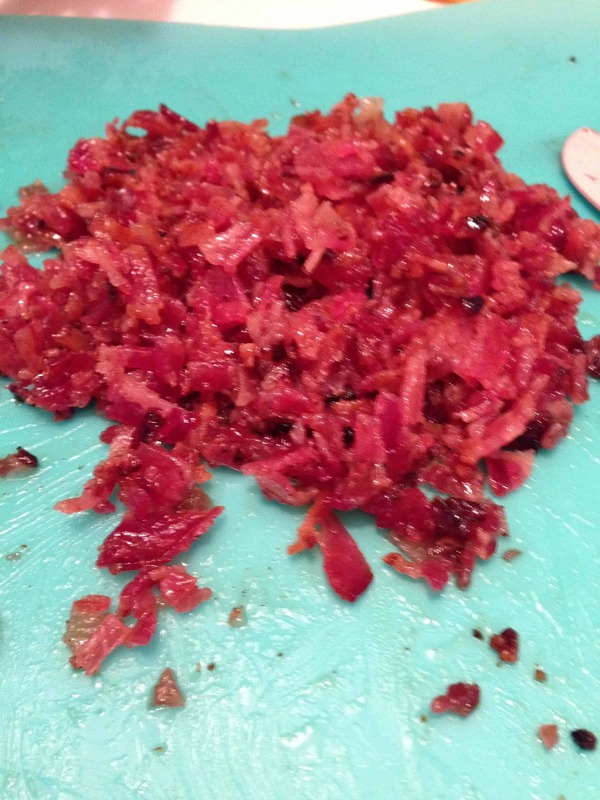 Sprinkle brown sugar over the bacon strips. Bake for 18-25 minutes, making sure to turn bacon over after 10 minutes. The bacon should be nicely caramelized, and crispy. Let the bacon cool on a wire rack, and chop into fine pieces ones it is fully cooled. 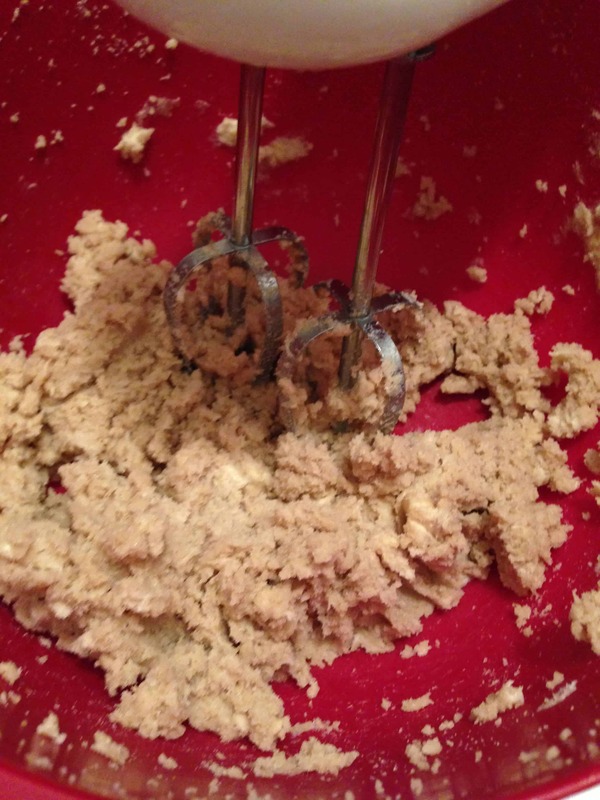 In a medium bowl, cream butter with the white and brown sugar. Add vanilla, egg, and egg yolk to the bowl and beat until light and creamy. 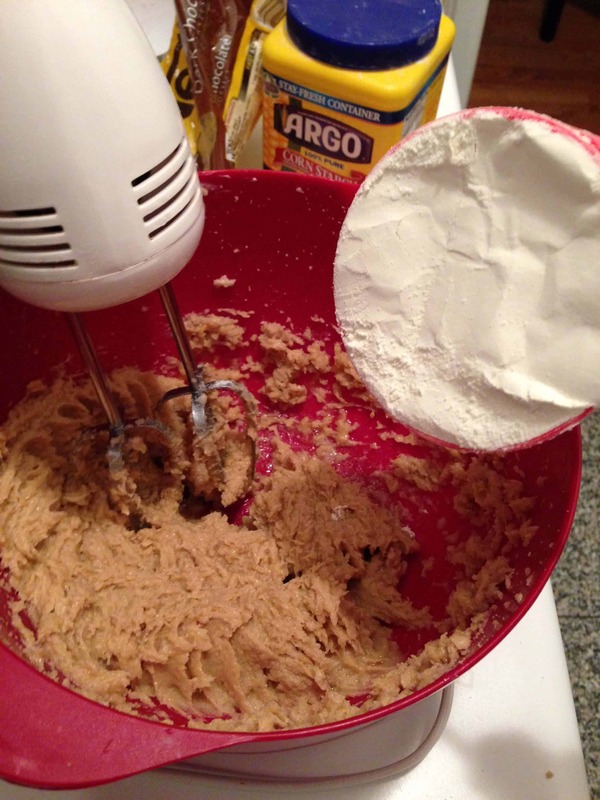 Add flour and baking soda, and mix well. 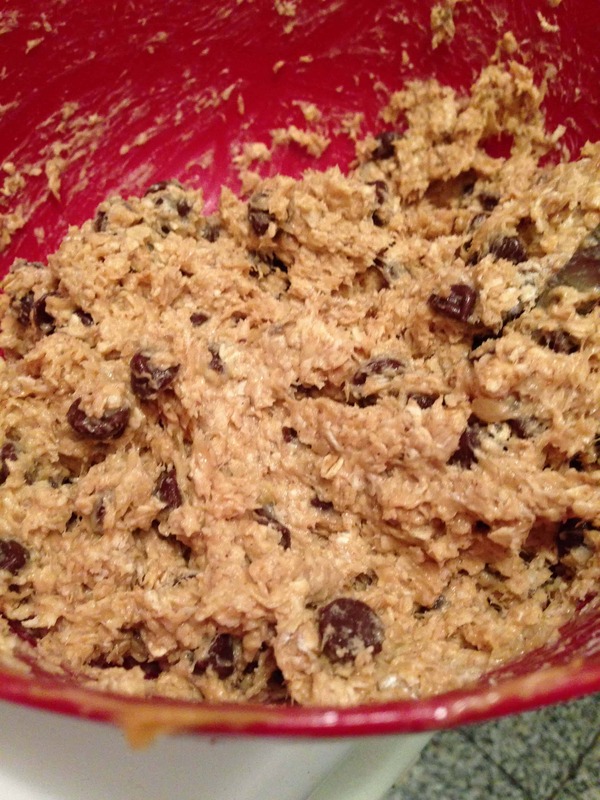 Add chopped bacon and chocolate chips, and stir until just combined. 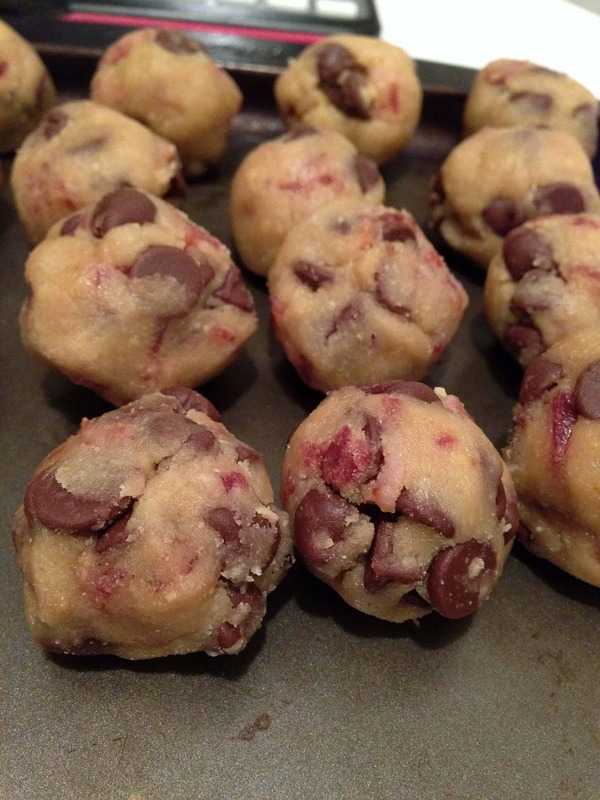 Place gumball sized balls of dough on a parchment lined cookie sheet, and refrigerate overnight. Preheat oven to 325 degrees. 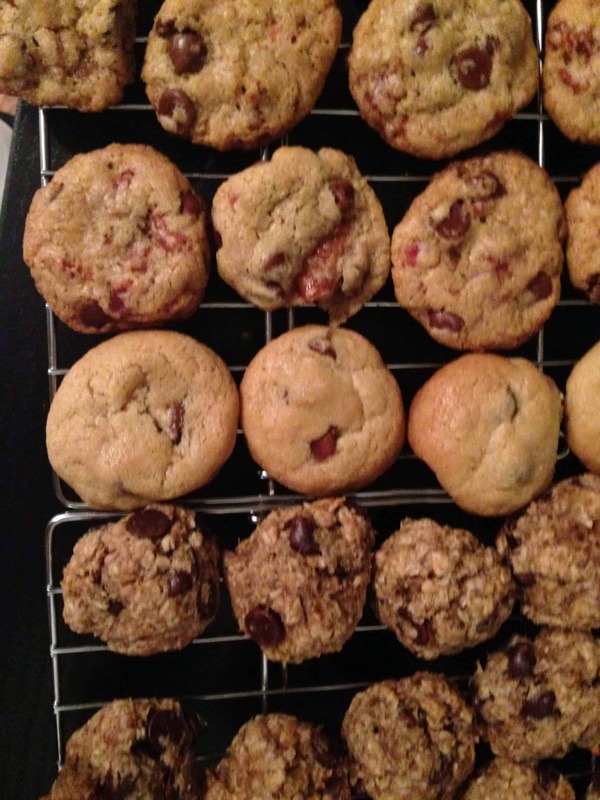 Bake cookies for 10-12 minutes, until the edges are brown. 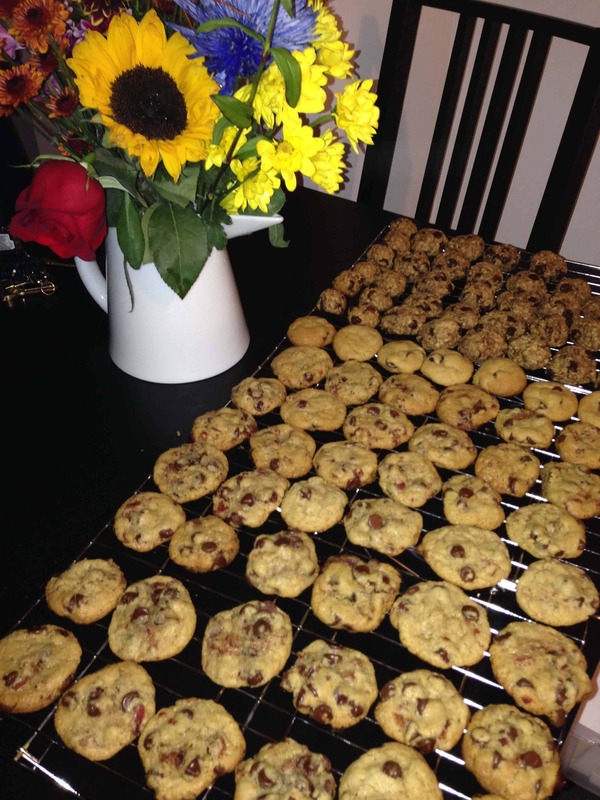 Remove from oven and let cookies sit on the pan for a couple of minutes before placing on a wire rack. 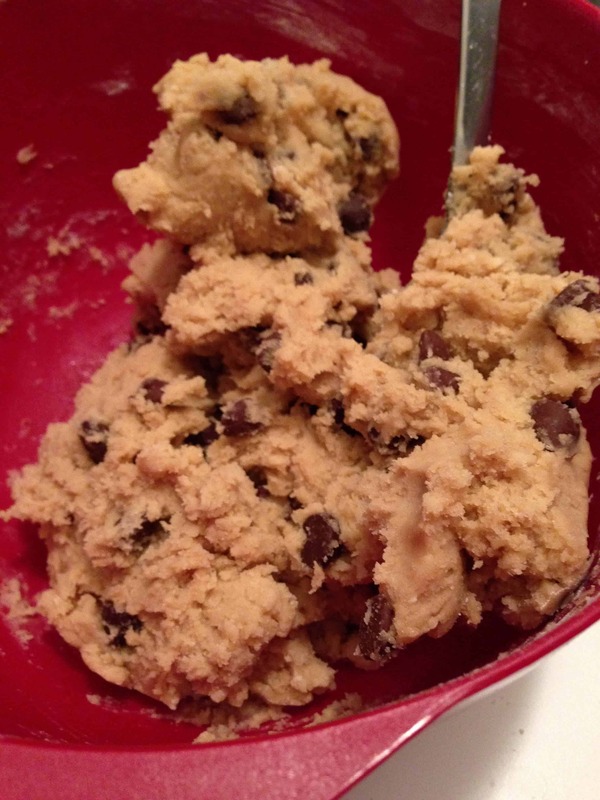 I followed the instructions in the above link for my classic cookie. 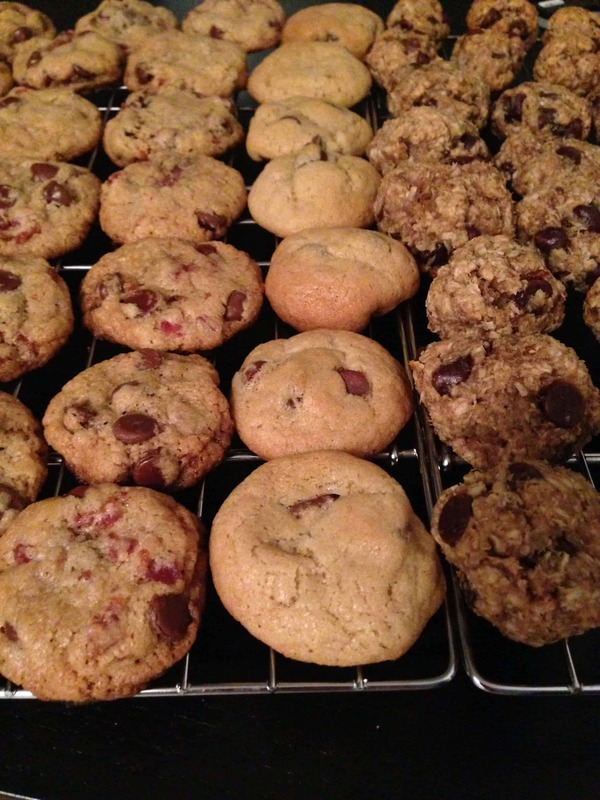 I made these cookies a little smaller, so I let them back for about 7-8 minutes at 350 degrees F.
I let all of the dough rest in the fridge overnight, and baked the cookies the following morning. 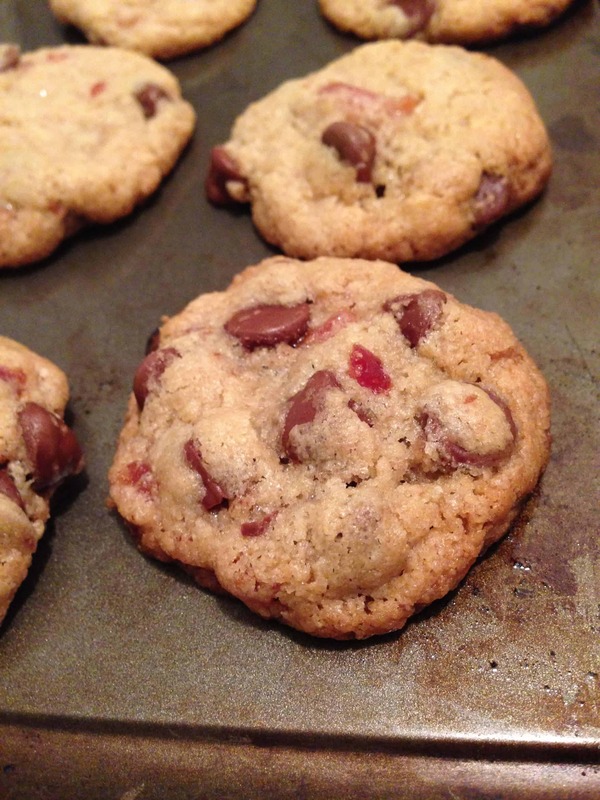 This allows the flavors to develop, and generally leads to a chewier, tastier cookie. I also wanted to them to be as fresh as possible.